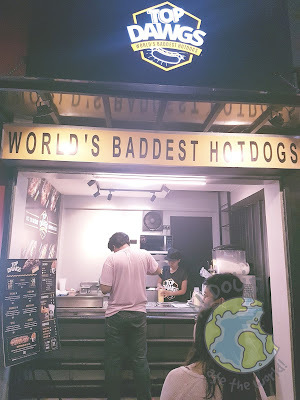 When I saw Top Dawgs and their moniker "World's Baddest Hotdogs", I thought I was in Santolan Station. It's no secret the Top Dawgs in the country are the police because they serve and protect. The Jackass is for the cheese lovers and guess what? I'm one of them! 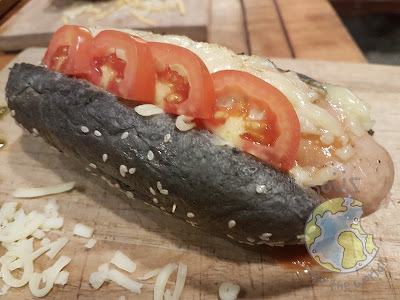 It's filled with mozzarella, parmesan, cheddar cheese and chili sauce. Oh, what a cheesy dream come true! This top dawg is topped with pesto, tomatoes, pizza sauce and melted mozzarella. 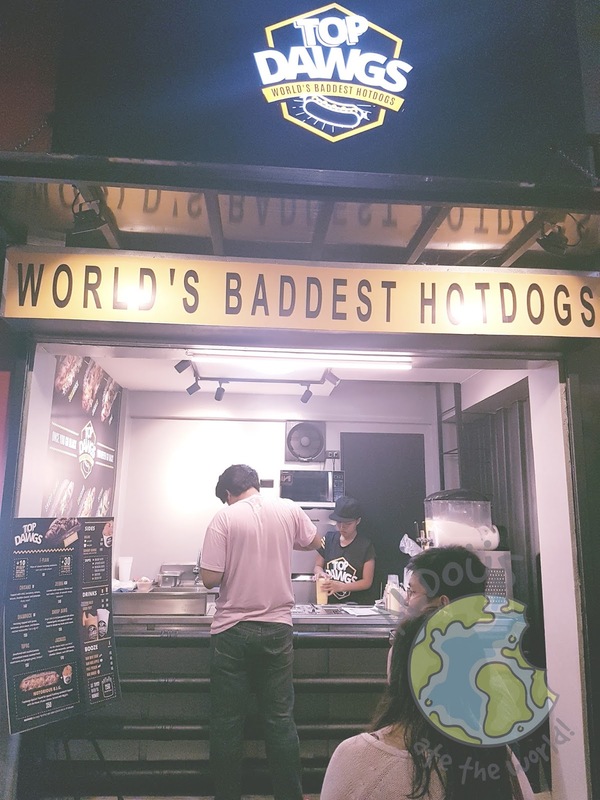 When I first tasted it, I must say the pesto is a nice touch. 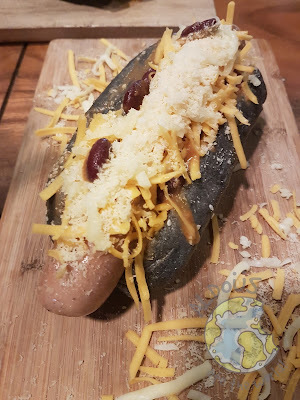 I have never seen a hotdog with pesto before and it's a great idea. The melted cheese is actually torched right in front of you. Now, that's an eye-popper.